Carefully developed using plant sourced ingredients yet super powerful, the distinct creation does away with the concoction of dangerous chemicals. 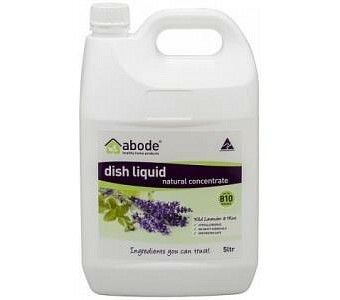 Its anti-residue formula successfully cleans the greasiest dishes and is soothing on the hands.? Ingredients: Water, alkylpolyglucosides (derived from coconut, wheat and corn and found in high end personal care products), sodium coco sulphate (derived from coconut oil), sodium cocoyl isethionate (derived from coconut oil), citric acid (food grade), sodium citrate (food grade), glycine extracts (amino acids) and pure lavender and mint essential oils.